"Mindstorm EV3 sudah berada di tangan. 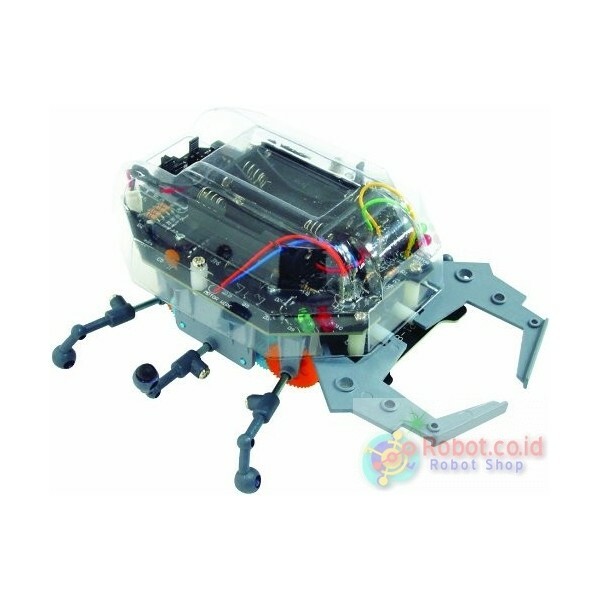 Layanan cepat,..."
Build your own Robot. Using touch, the Scarab Robot travels through it's environment avoiding obstacles. When this robot's antennae touch an object the Scarab will go backward first and automatically follow a two step maneuver to bypass the obstacle. Different maneuver configurations can be defined: "Left Turn", "Right Turn", "Reverse", or "Stop". Soldering is required. Soldering iron and solder, not included.